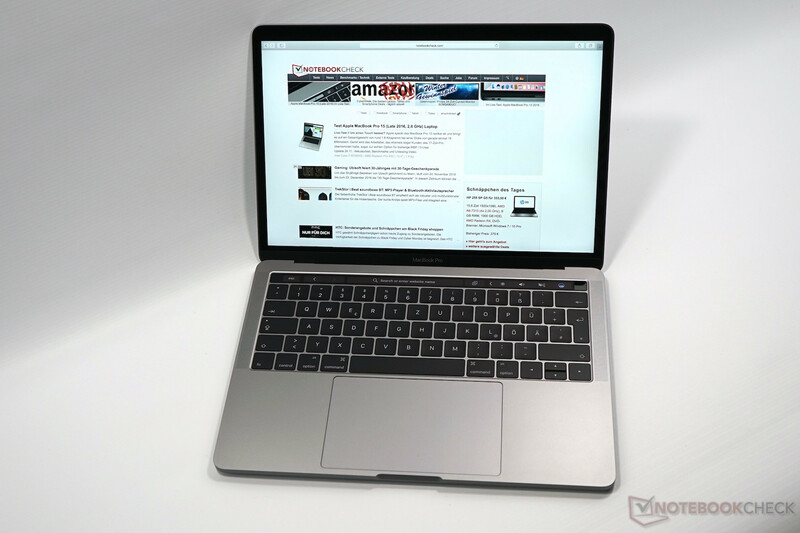 The Apple MacBook Pro 13 2018 is an ultra-thin and ultra-powerful professional-grade notebook. It features some improvements to an already capable laptop, which makes it an even more ideal device for heavy-usage power users, particularly business and professional users. 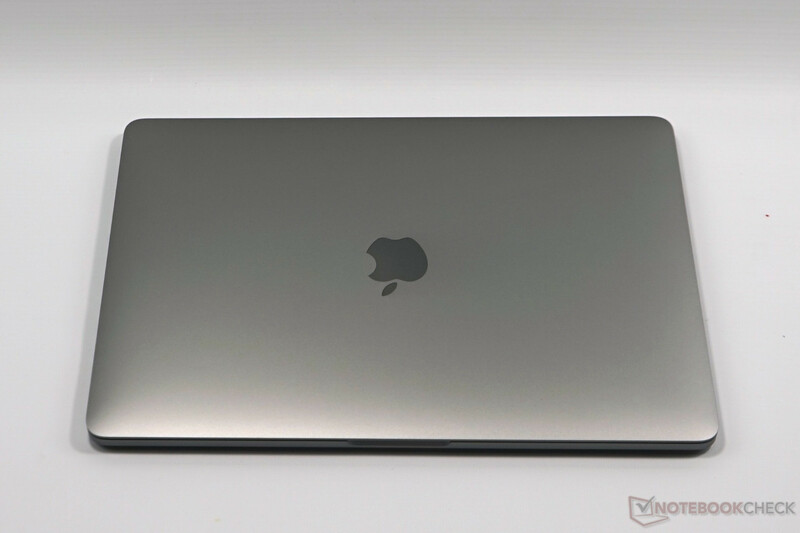 As with 2017’s MacBook Pro, there is no change to the Retina display resolution. 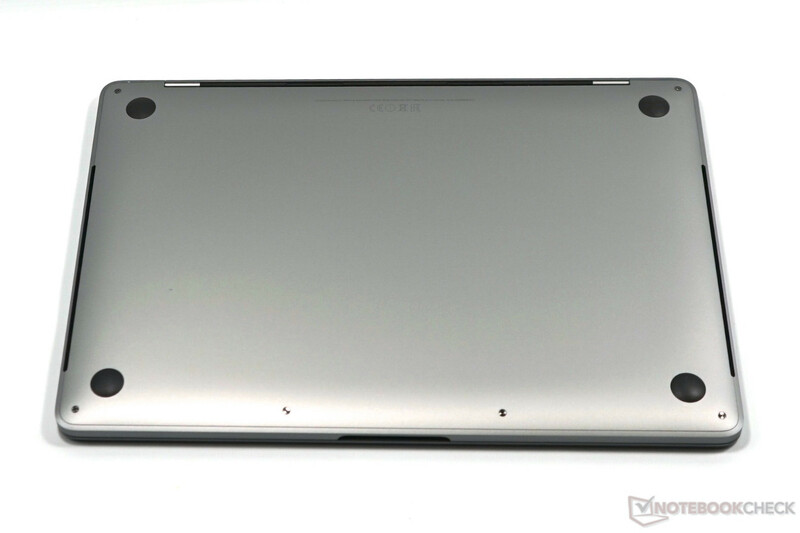 The 13.3-inch panel continues to pack 2560 x 1600 pixels. The display does have one new feature, though: True Tone, previously only available on the iPhone X and most iPad Pros, this feature is akin to an enhanced version of the Night Shift setting. Whereas the latter warms the color temperature from late at night through to early morning, True Tone works all day long and goes further; rather than shifting the temperature to a fixed setting, it uses a sensor to read ambient lighting and adjusts the colors on the screen accordingly. 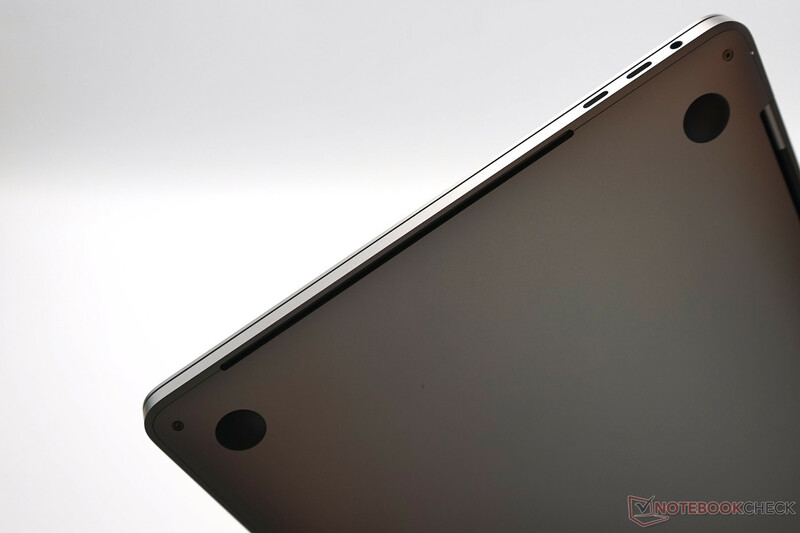 As for hardware specifications, there is the Core i7 quad-core model, clocked at 2.7 GHz standard and 4.5 GHz in Turbo Boost, and specced out with 16 gigabytes of RAM, as well as a 512-gigabyte solid state drive. The machine is significantly faster than its predecessors and competition. It should theoretically handle tasks that rely on multiple cores in the CPU faster. That means rendering files in Premiere or Final Cut Pro or processing files in Blender. MacOS High Sierra truly zips with the 13-inch MacBook Pro, and everything feels like a breeze, even with integrated Intel graphics. With all that extra performance from the quad-core processor, the MacBook Pro needs more power to keep the 10-hour use prediction. Apple has increased the battery size from 49.2 watt-hours to 58, it is now roughly 18 percent larger. In regular, non-CPU intensive work, such as general office work, users will routinely exceed Apple's 10-hour guidance by many hours. The keyboard is quieter than its predecessors. This is because there is a silicone membrane between the key caps and the butterfly mechanisms beneath. Anecdotally, typing fast sounds less click-clacky. Whether hammering away at a lengthy document or a quick email, it is a lot less distracting. Using the Touch-ID fingerprint reader to quickly resume work is a bonus if a user is tired of typing the login password. 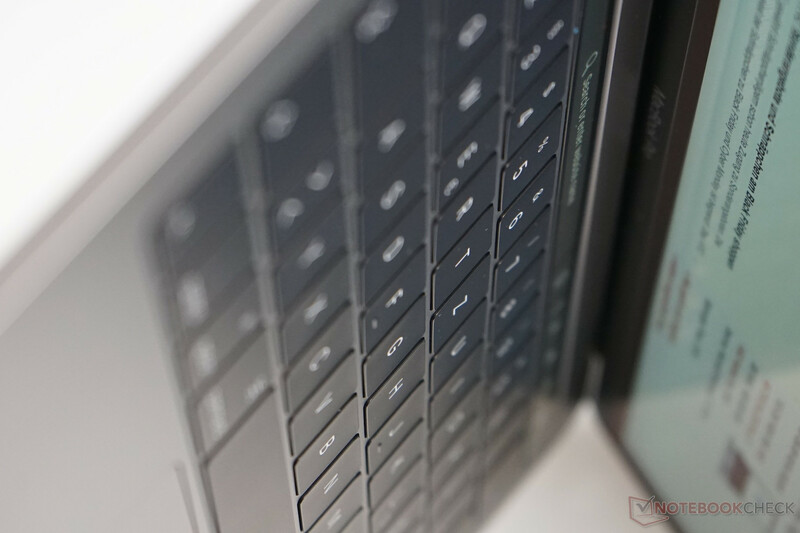 The Touch Bar remains contentious for many people. 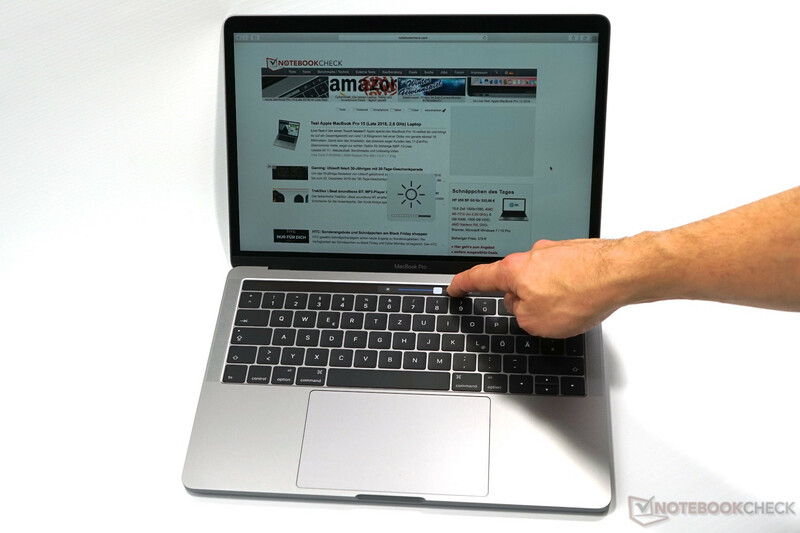 Though users can switch it to show function keys or the media, volume and brightness controls, the problem one might run into is more how easy it is, without the tactile response of a key edge, to overreach the actual keys and brush the virtual ones by accident. The bar’s value to workflow depends on whether apps make good use of it. In Apple’s Pages word processor, users can quickly apply visual changes to selected text without lifting hands off the keyboard to move the pointer. 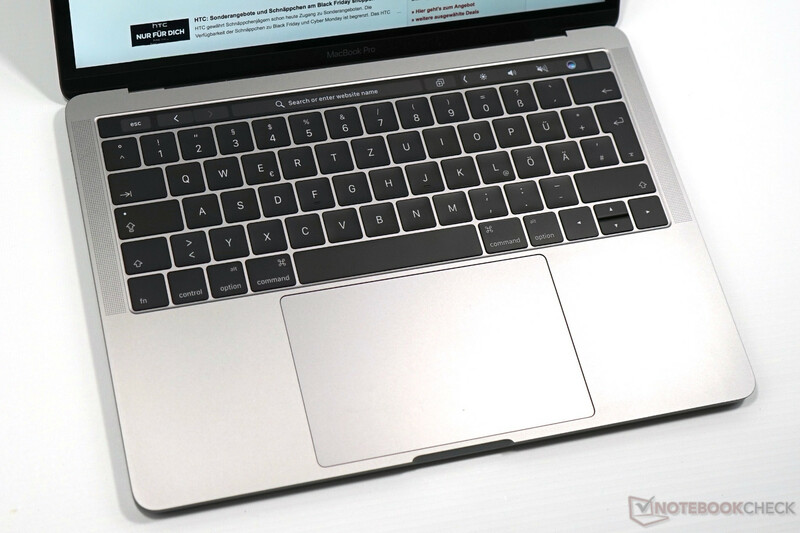 Despite having the same ports and an identical exterior, the 13-inch MacBook Pro has a major and welcome improvement: All four Thunderbolt 3 inputs are now full-speed ports. This is an upgrade from the last two 13-inch models. And USB-C is here to stay, because it can be used for all kinds of peripherals, from external GPUs to keyboards and mice. Intel Iris Plus Graphics 655: Integrated graphics card (GT3e), which is used for some Coffee Lake-U CPUs (28 Watts). Modern games should be playable with these graphics cards at low settings and resolutions. Casual gamers may be happy with these cards. » Further information can be found in our Comparison of Mobile Graphics Cards and the corresponding Benchmark List. 8559U: Coffee Lake based SoC (System on a Chip) for medium-sized notebooks. Integrates four CPU cores clocked at 2.7-4.5 GHz as well as an Iris Plus Graphics 655 GPU clocked at 300 - 1200 MHz with 128 MB eDRAM. Manufactured in a 14nm process. The TDP of 28 Watts is much higher than the regular ULV quad-cores at 15W.» Further information can be found in our Comparison of Mobile Processsors. 82.81%: This rating should be considered to be average. This is because the proportion of notebooks which have a higher rating is approximately equal to the proportion which have a lower rating.